In September 2012, Jacqueline Sauvage shot her husband, Norbert Marot, three times in the back. The couple, who lived in a small town 70 miles outside of Paris, had been married for 47 years and, as Sauvage would claim during her trial, those years were hardly happy. Rather, Sauvage and her children were the victims of persistent and relentless domestic violence. During her trial, Sauvage claimed that she was acting in self-defense, ending nearly five decades of abuse. Sauvage told the court that Marot had abused and isolated her since the couple was married when she was 18. The jury also heard from three of the couple’s four children: Sauvage’s daughters said that their father had physically and sexually abused them and hit their older brother, Pascal. Court documents show that Ms. Sauvage and her children felt constantly threatened by Mr. Marot, who told his wife that he would kill her and her children if she tried to leave. Ms. Sauvage once tried to kill herself, but a doctor who treated her never inquired about the reason. When her daughter complained to the police that her father had raped her, the local police officer, instead of taking her seriously, called Mr. Marot, prompting her to retract her accusation out of fear of her father’s reaction. The day before Sauvage shot Marot, their son Pascal hanged himself. What has made Ms. Sauvage’s case notable are the length of time the abuse went on, that it went unreported by Ms. Sauvage or neighbors, and the few options that were available to her. But in many regards, Ms. Sauvage’s case is not unique. Every year in France, 223,000 women are physically or psychologically abused by their partners, according to the ministry of family affairs and women rights. In 2014 alone, it said, 134 women died as a result of violence by their husbands or partners, and five women killed their husbands because of it. The jury concluded that Sauvage’s actions—killing as the result of decades of abuse—did not meet the law’s criteria. Legal reformers and activists argued that the law made no allowance for long-term domestic violence since it did not take into account the psychological toll of decades-long abuse. Many see Sauvage’s conviction as the result of France’s slow response to implementing policies and programs that address domestic violence. The Times reports that France only outlawed domestic violence in 1992 and only began mandatory training for medical practitioners in 2013. Although it is still unclear how Ms. Sauvage’s case will affect French policy, it seems already to have influenced recent court cases. Four days after Mr. Hollande’s announcement that he would commute part of Ms. Sauvage’s sentence, another woman, Bernadette Dimet, 59, received a suspended five-year sentence for killing her husband. He had abused her for 40 years, until she shot him in the chest in 2012. On March 8, conservative MP Valérie Boyer drafted and introduced a law that would find battered women criminally irresponsible (“irresponsabilité pénale”) if a medical expert can substantiate their abuse, including a diagnosis of battered woman syndrome. “Before being a criminal, [abused women] are primarily victims,” Boyer said. 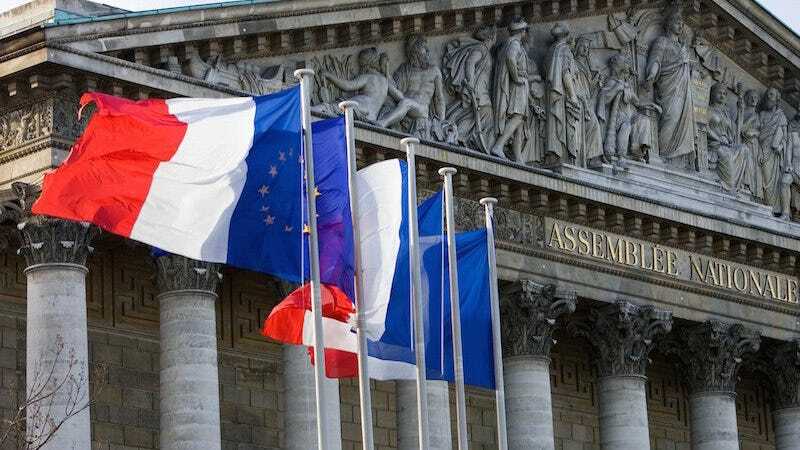 The French parliament has yet to vote on the bill though MPs already indicated that they will amend the legislation.